Made from the highest quality stainless steel, the Areo Hairdryer Holder is available in either polished or matte stainless steel and measures at 5.5cm height by 8cm width and 11cm depth. 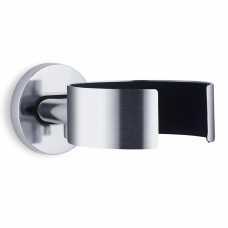 Mix and match with other Blomus Pure Spa Areo bathroom accessories for a luxury, contemporary bathroom interior space. This stainless steel hairdryer holder is a durable and practical clasp for your bathroom with the stainless steel material being resistant to corrosion, heat damage and chemical damage and extremely long lasting. 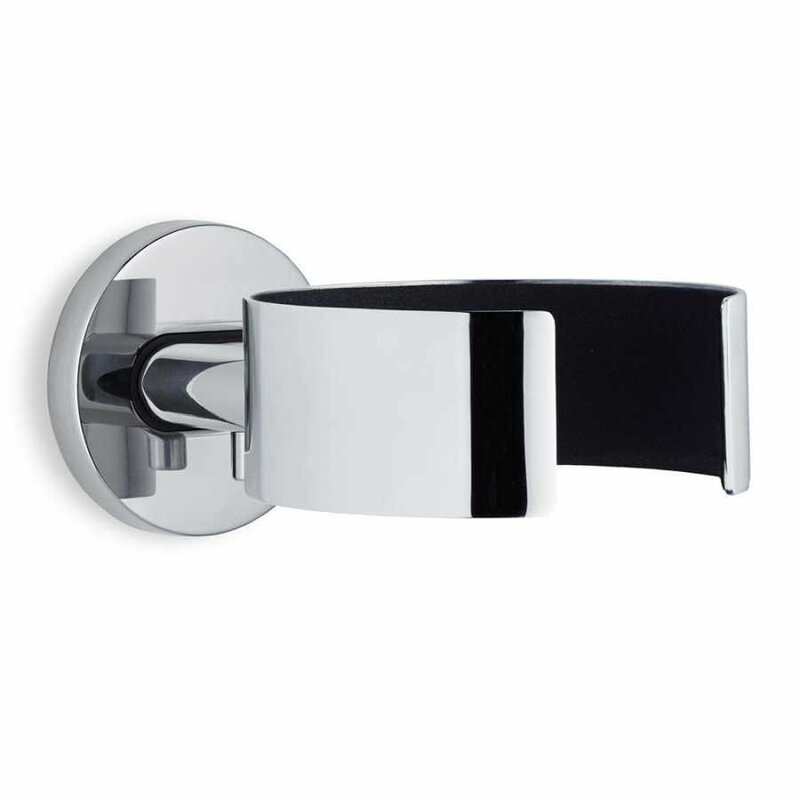 The circular wall mount is soft and neat perfect if you are looking for a discrete wall hook that does not distract the simplicity of your bathroom. A bathroom is a place of relaxation and calm which is why German home accessory brand Blomus have create a collection under the name of Pure Spa. 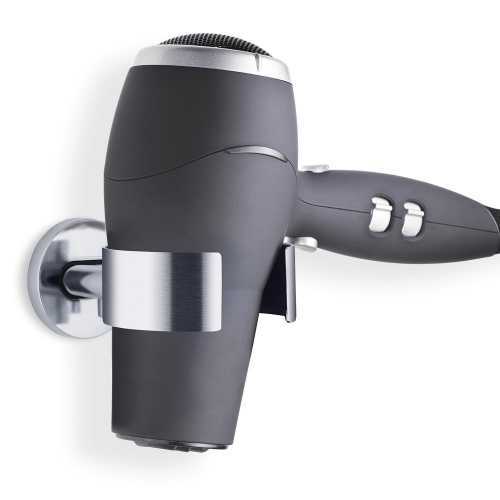 The Areo Hairdryer Holder is a minimal wall fixed hairdryer holder design that has been stripped back from unnecessary details for a practical and minimal bathroom accessory that has been made sleek and stylish through its necessary shape and form.